The diaphysis is the long central portion of the tibia that attaches the proximal or rear portion of the bone to the distal or far part of the bone. Diaphyseal fractures can occur due to direct impact or a twisting or falling injury. 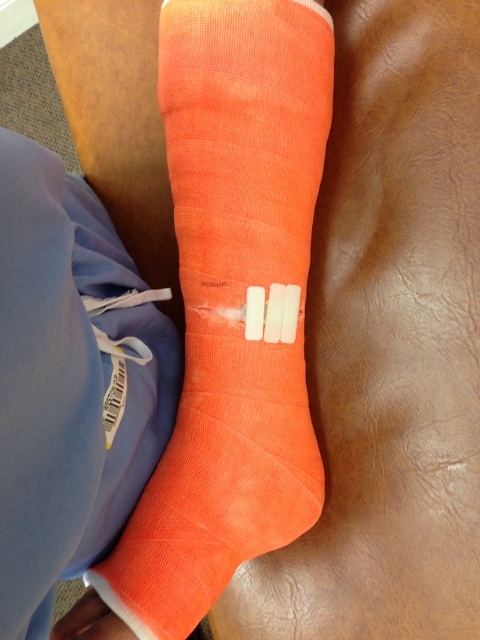 If there is no displacement, these can be treated non-surgically with nonweightbearing cast and crutches. 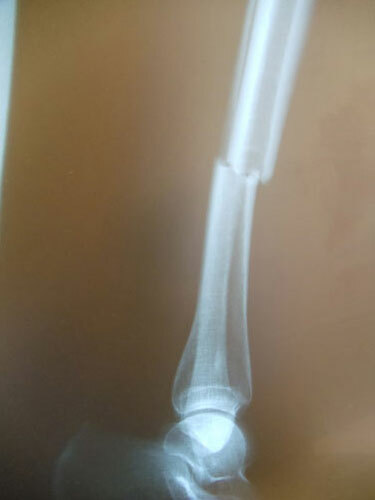 If the fracture is displaced, it may need to be treated in the operating room. It can be fixed with plates and screws, pins or a large intramedullary “IM” nail to place it in the correct position. 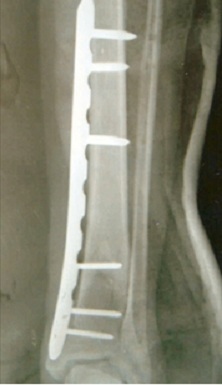 Below is a post-surgical x-ray of a tibial fracture repair with screws and plate. 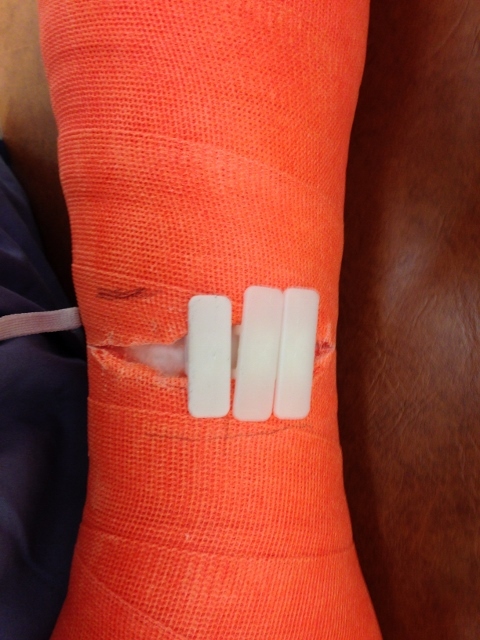 This will stabilize and re-align the fracture fragment allowing appropriate healing. 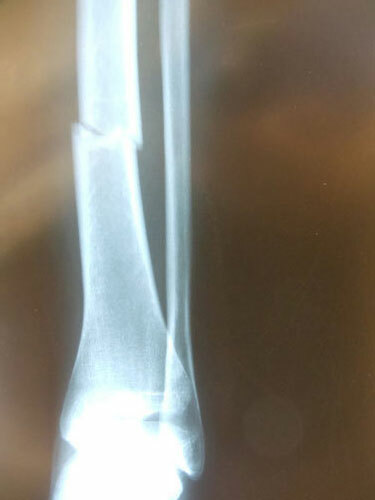 Pictures below show a 60 year old woman who fell getting out of bed and broke the shaft of her tibia as has a distal fibular fracture. This was treated with an Intramedullary rod as well as a surgical plate and fixation with screws of the fibular fracture.